The terraced landscapes of Tegalalang Rice Terrace. Not for nothing is Bali known as the ‘Island of the Gods’. One of the 17,000 islands that speckle the Indonesian archipelago, it blows your mind with spectacular scenery, pristine beaches, warm and friendly locals and a vibrant culture. But beyond these obvious enticements lies a hidden Bali, an unexplored terrain that can take your adventure to the next level but only if you know where to look. Instead of beachcombing, go biking through rice paddy fields – emerald vistas of green gold that will make your knees go weak. Spas are passe. How about an immersive wellness experience in a Balinese hot spring? Instead of regular coffee quaff Kopi Luwak. This unique brew made from civet cat’s droppings has people paying top dollar. Eschew the famously cheap and plentiful Balinese massages and opt for natural hot springs. 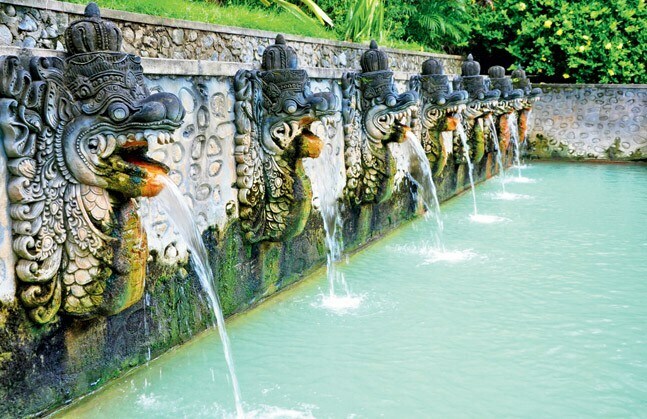 One of the most popular ones is the Toya Devasya Natural Hot Springs in Kintamani, in Bali’s northeast. Overlooking scintillating views of Mount Batur, the waters here dazzle in 50 shades of blue (or is it green?). They also emit less of a sulphurous odour than most other Indonesian hot springs. Whether they possess healing powers or not, there’s no denying their power to make you feel reborn. Coffee plantations pepper Bali like confetti. 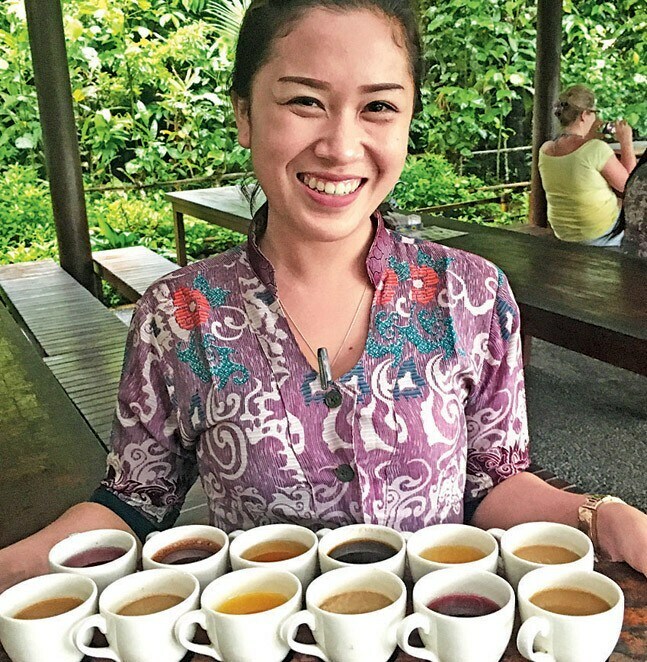 They offer a smorgasbord of brews – vanilla coffee, ginger, lemongrass, chili, chocolate. Ask for ‘Copi Luwak’ instead. It’s not the world’s most expensive coffee for nothing (USD 10 or Rs 640 a pop). It is brewed from beans that have been through the digestion system of a civet. The animals consume the coffee cherries for their fleshy pulp, but the beans are left intact all the way through their digestion system. The enzymes inside the civet’s stomach extract the bitterness from the coffee, making Kopi Luwak smooth and mild with a sweet aftertaste. Cheers! Climbing three hours up Mt Batur is what dream hikes are made of. Every hint of exhaustion is forgotten once you summit the volcano’s peak and soak in the magical landscape of this natural wonder. Batur is the most active volcano in Bali; erupting every few years. 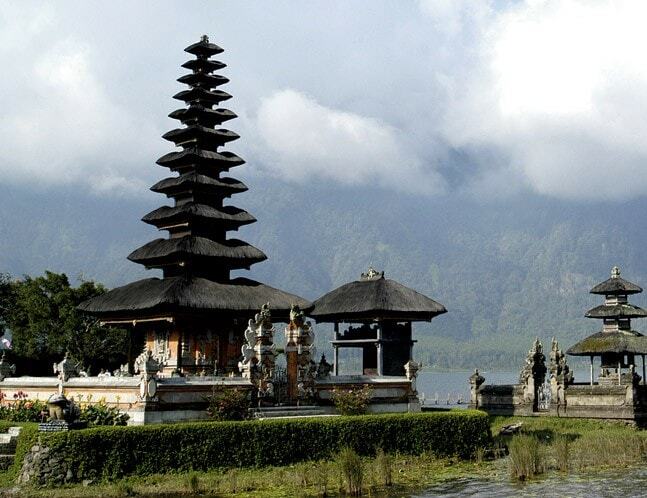 But when its safe to go up, it rewards you with 360-degree panoramic views of the Indian Ocean, Lake Batur, Mt. Agung and Mt. Batur. When Julia Roberts careened through Bali’s verdant rice fields in Eat, Pray, Love, a million hearts fluttered. The lifeblood of the locals is their farming culture, and paddy fields are no less a trademark of the island than its beaches. With neat rows of rice plants spreading as far as eyes can see, the topography is mesmerising, especially at sunset. Visit the terraced landscapes of Tegalalang Rice Terrace – marked by subak (traditional Balinese cooperative irrigation system) – that go back to the eighth century. Paddy not your thing? Well then hop across to the quiet and secluded Nusa Dua on Bali’s southern shores which exists almost in its own bubble. The area brims with spiffy resorts, restaurants and shopping. Walk along the beautiful boardwalk near the ocean. Or go snorkelling, diving, speed boating, paragliding or sailing in crystalline waters. There’s also an 18-hole golf course here. Nip up to the exquisite Pura Geger stone temple that crowns a forested bluff overlooking the azure ocean. Museum Pasifika showcases paintings inspired by the Asia-Pacific region. North of Nusa Dua, boats connect the fishing port of Tanjung Benoa to nearby Serangan Island making for a stunning overarching sweep of the ocean. Your Bali trip is incomplete without trying authentic local cuisine. Start with ‘Bak So’, a signature Indonesian dish eaten with meatballs – it will take your taste buds places they’ve never been. Book a beach dinner to eat next to the lapping waves. I experienced the island’s full gastronomic glory ensconced in a gazebo at Westin Resort and Spa in Nusa Dua. There was Cingklak, a smorgasbord of authentic Balinese appetisers: beef and chicken satay, spring rolls, corn fritters, fried prawns. Soup Buntut Ubud or thick oxtail soup was rich and velvety. Ikan Laut Campur brought to the table an ensemble of grilled lobster, salmon, snapper fillet, calamari, prawn, minced fish sate served with rice and Ikan sambals. The flavours still dance on my palate!